I tried going for a 20 miler today, I really tried and I did really good for 15 miles at about an average pace of 8:15 before my left knee went “hey buddy I’m not longer having fun” and so I limped/ran the last 1.5 miles home. Its okay, I’m happy with my good enough 16.5 miler instead. B I ordered new shoes. B DailyMile says that including today I ran 850 miles in 2012. B I’m not sure how many miles this pair has since I run in 2 pairs between work and home but from sometime in Dec/Jan its most likely around 400 miles per pair. B I may be 5ft tall but I must stump around like a 300 pound 7 ft ogre. B So instead, today I got reunited with Agent Orange & the Ice Princess. 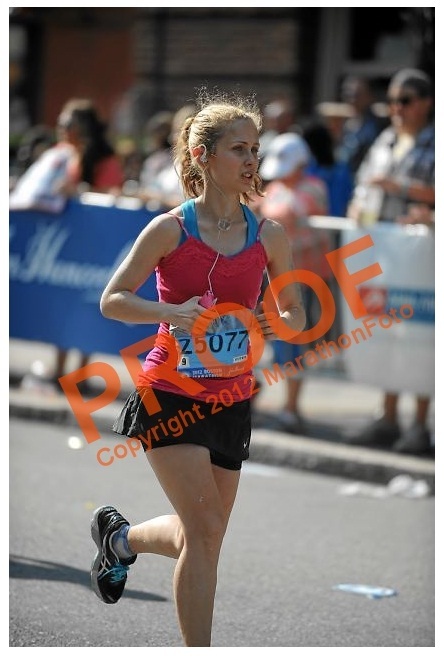 So marathon foto is slowlyB tricklingB in more photos of me so I figured I’d share. B I have to admit these photographers are pretty darn good and almost make it tempting for me to buy them but at 70 bucks a piece I rather spend the dough on another registration fee. B I’m not really big on havingB billboardB size photos of myself around the house. B I prefer to stare at myself in tiny form instead. 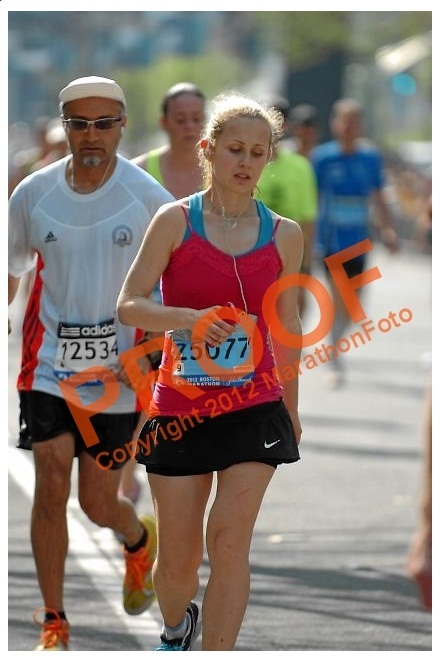 I don’t know how, but they even got photos of me running. B I did so little of that on Monday that I must admit I am impressed with their ninja photo skills. B That looks like after I gave Tony my handheld and stole his water bottle. I love this! B This pretty much subs up my mood for the race. B Exhaustion and misery. B But hey the guy behind me has a white number! B Fast or slow, we all got whacked by the heat! 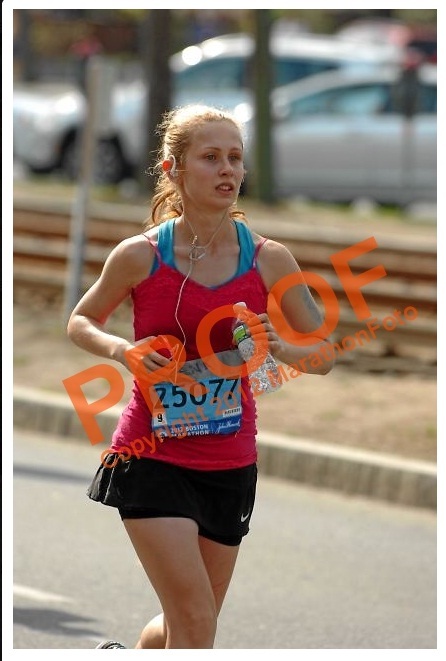 Another running photo, this must be near the finish line where I knew photos were getting taken so I sucked in my stomach cramps and roughed it out for the .2 miles to the finish line. How many miles or months do your running shoes last? B I’m curious if I’m a record for shoe destroying skills.